Daily Photo: Head On | Beckie and Jeremy Take on the World! 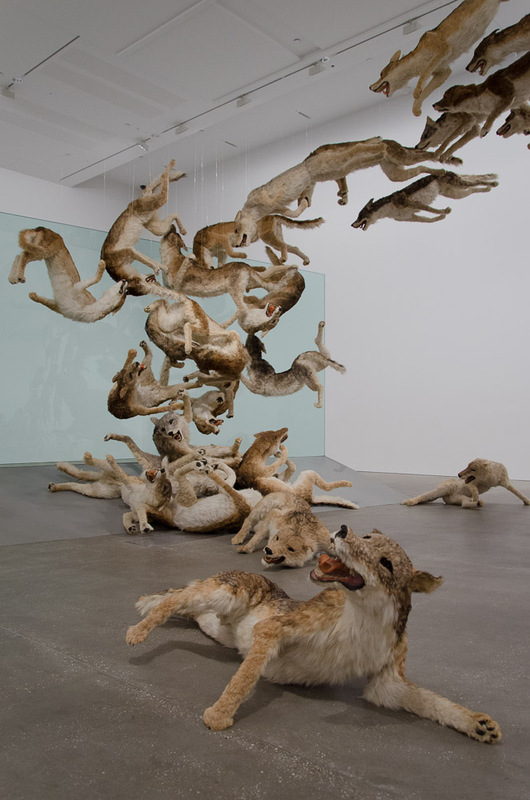 By Cai Guo-Qiang, from the Falling Back to Earth exhibition at GOMA. 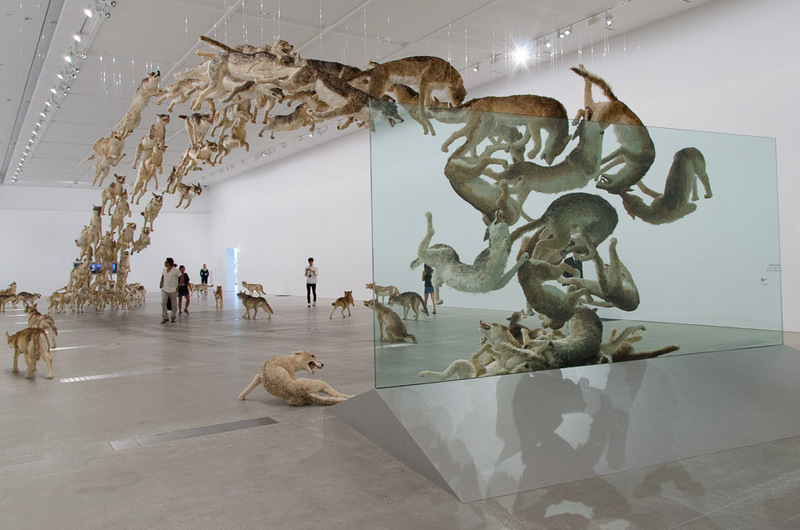 99 life-sized wolves attempt to leap over a glass wall, then pick themselves up to try again. See a wider view below the cut (as always, click to embiggen). The only part missing is when they dust themselves off.